PATIALA: He has never stepped out of the country, but the ban on turban in France has agitated a 45-year-old Nihang so much that he has taken it upon himself to add 'weight' to his protest by sporting a headgear that weighs 70 kg and is 800 metres long. However, the size and weight of Balwant Singh's turban has been growing gradually. According to Balwant, who hails from Yamunanagar in Haryana and was in Patiala on a personal visit on Wednesday, initially he used to wear a turban measuring only 10 metres. "We are Sikh soldiers and have won many battles and defeated many of those who challenged our religion. I started increasing the size of my turban in 2005, to convey the message that we won't let go of our turban at any cost. Like me, all must take a strong stand against the turban ban, instead of merely requesting other countries to allow us to wear turban," said Balwant. 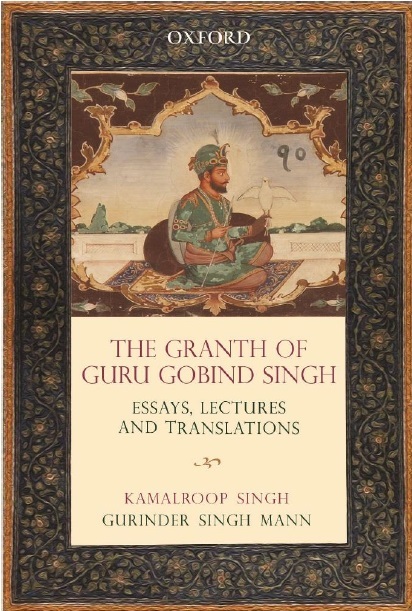 A cursory glance would make one feel that it would be impossible to go about your normal routine with such a weighty headgear, but when people see Balwant going about his work like other Sikh wearing a turban of usual size, they realize that he has mastered the art of carrying it without any problem. 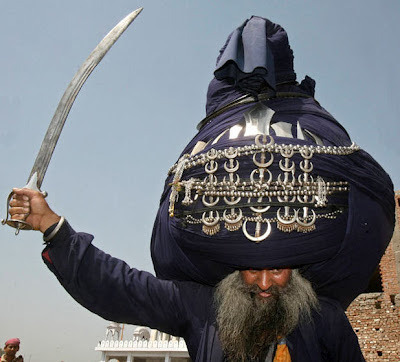 He told TOI that he was going to try increasing the size of his turban a little more. He has even put on Sikh religious symbols like khanda and small swords on his big turban. Balwant wants to inspire youngsters to fight the turban ban not by requesting, but by defying the ban, which is violation of fundamental religious rights. "People, especially youngsters, look at me whenever I cross roads or any marketplace for that matter. I believe I am successful in inspiring youngsters to fight against turban ban in my own style," said Balwant, when asked whether his novel way was proving to be successful or not.